After two well-received releases — a superb 2008 debut full-length, The Low Red End, and a solid, albeit controversial, 2009 EP, Lights Disappear in Yellow Smoke — Lendway have established themselves as one of Burlington’s premier young bands. By now, local audiences know what to expect from them. The band has little left to prove, at least on a local level. And yet their new full-length, Giant Places, suggests Lendway were merely teasing us up to this point. In a year already overflowing with great new local indie releases, Lendway’s latest stands out, revealing a group that has reached a new level and refined an already potent formula. It’s not so much that Lendway are reinventing themselves. From start to finish, all the familiar calling cards are here: bright, hooky tunes with blooming, multipart harmonies, framed by a shimmering wash of jangly guitars. 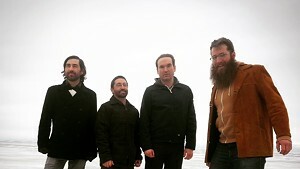 Rather, it’s that the band has noticeably matured, which is evident from the first, insistent strums of album opener “Ready to Race.” Where some of Lendway’s earlier work could be characterized as saccharine, here the members balance guitarist Matt Hagen’s sweet, searching vocals with cunning. They somehow manage to give the tune an edge, despite pleasant, high-arching guitar sustains and blissful vocal harmonies. Lendway prove equally adept at framing guitarist Mike Clifford’s pop-informed musings, as on the following track, “We Should Go Tonight.” Lendway have always blended the divergent songwriting styles of their two front men into a cohesive whole — Hagen tends to be more playful; Clifford, more emotionally direct. But never has this sounded so artful as it does on Giant Places. Though the two generally alternate songs throughout, the album flows with a singular, collaborative artistic vision. In fact, two of the record’s strongest and most ambitious cuts, “The Words Will Show” and “Take Your Gold Away,” were cowritten by Hagen and Clifford. The former is a woozy slice of pop psychedelia, the latter a marching indie-rock opus that recalls early Built to Spill, or some of Kevin Drew’s work with Broken Social Scene. Not to be overlooked is the foundation laid down by the rhythm section of drummer Todd Gevry and bassist Kevin Lynam. Gevry is a rock, tempering Lynam’s occasional flights of low-end fancy with understated technical precision. Particularly on the album’s defining closing cut, “Windows Down,” the pair forms the bedrock on which Lendway’s spirited and stunning sonic feats take wing. 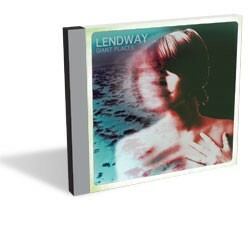 With Giant Places, Lendway deliver the record fans have been waiting for. Funny thing is, we didn’t even know we’d been waiting for it. Lendway release Giant Places this Friday, September 2, at Nectar’s. Burlington’s Parmaga and Joshua Panda Band open.